School, further education and nursery campus design is an important area of work for us and allows us to create engaging positive environments that enrich the learning experience for students. In Dubai we have worked on variety of new and refurbished schools that deliver our objectives for modern school design. 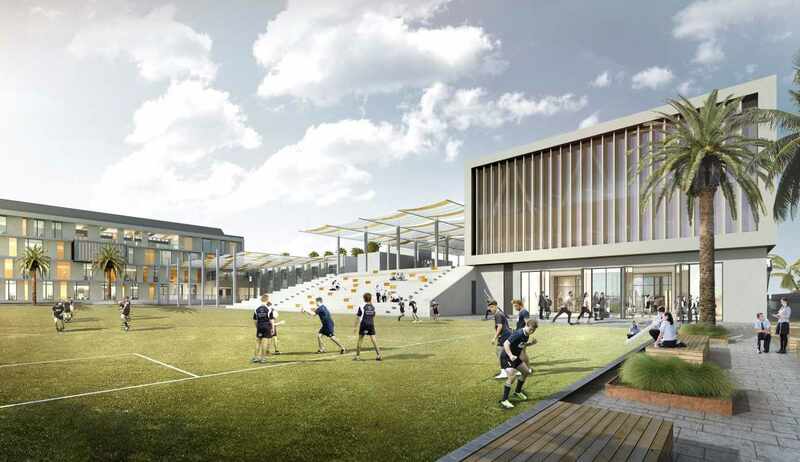 These include mixed age sports facilities, outdoor learning zones, food production areas, experimental gardens, outdoor breakout classes and informal seating areas. Accessibility is critical to our design and we use local (such as Universal Design Code) and international best practice to ensure schools area accessible to students of all ability. Place Dynamix also has specialized experience in the master planning and public realm design of business parks, economic districts and free zones around the World. Economic development is a key component of our skills and as such we have been involved in the design, planning and implementation of business, science and enterprise parks of various sizes and complexity. We believe that properly integrated economic parks and zones can offer employment opportunity but can also be unique destinations with a mix of retail, community facilities and open spaces. Place making is a core value that informs all our work, whether it is an integrated urban business park campus high technology park or an industrial zone. We utilize all our in-house skills in urban economics, planning and design to create thriving feasible locations that attract people and businesses.